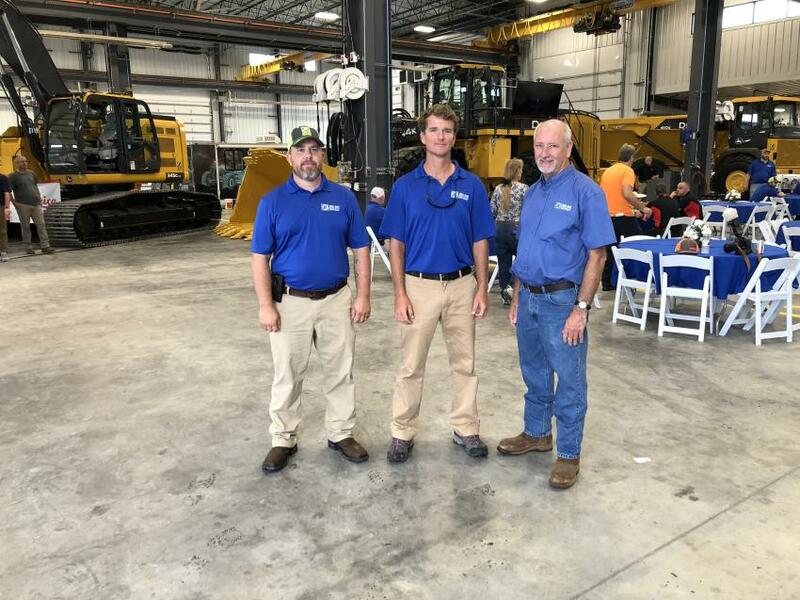 James River Equipment recently celebrated the grand opening of its expansive new facility in Winchester, Va. The new plant, located at 245 Yardmaster Court, occupies 37,000 sq. 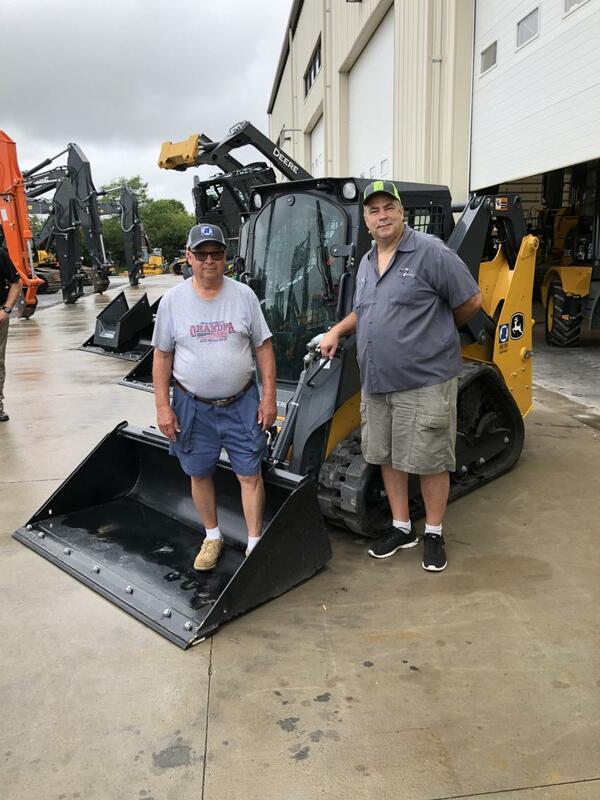 ft. and features a 21,000- sq.-ft. shop, 5,500-sq.-ft. parts warehouse, a 2,300-sq.-ft. track shop with track press and a 3,400- sq.-ft. wash rack. 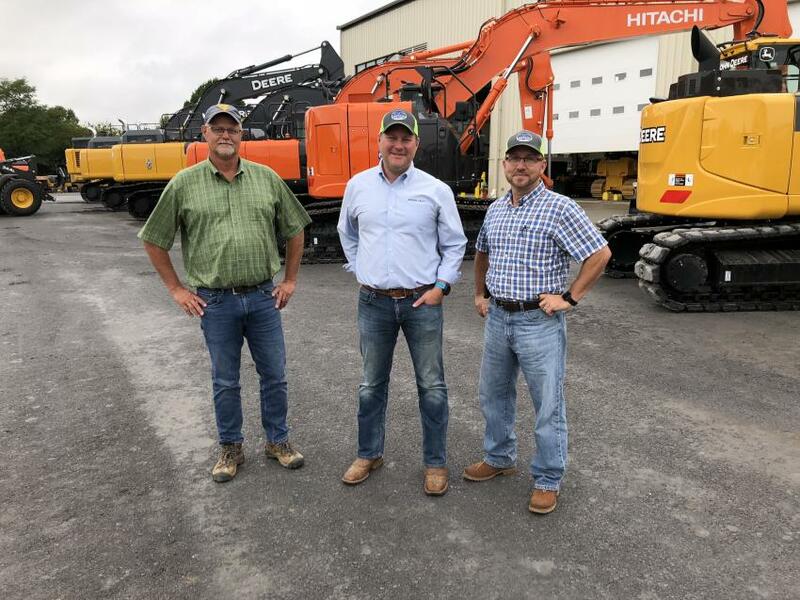 Land prices and the growth of business at James River's Manassas store decisively influenced the choice of the new location. 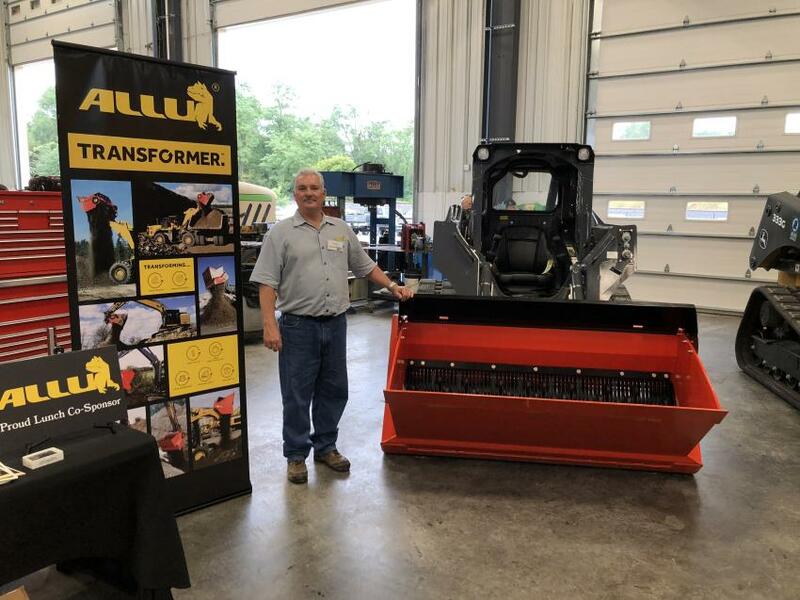 The company continues to operate at its Manassas location, but it felt land-locked there, with only 5 acres and no room to expand. The Winchester facility, just 50 mi. away, occupies 20 acres, purchased in 2006, and the company soon will close on an additional 19 acres, of which it will sell 5 to 7 acres along Route 11, preserving another 10 to 12 for future expansion and to control who moves in next door, Roan said. The new machine shop boasts full-service in-house fabrication, with line-boring as well as mill and lathe capabilities, and an electrical hydraulic track press that can handle anything up to a 100,000-lb. crawler. In addition, the plant's two machinists have more than 30 years' combined experience. 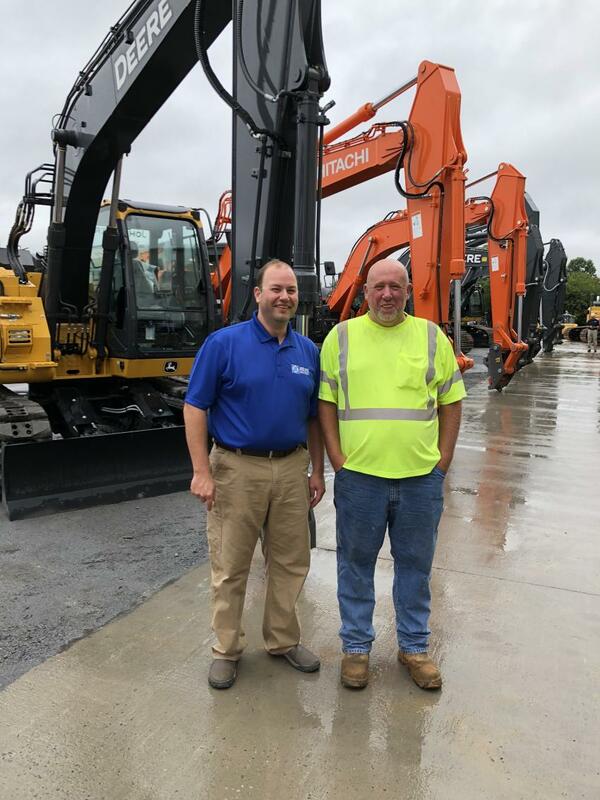 With the Winchester shop serving quarries and large-site development contractors in six counties, business is booming, said company President Mark Romer. 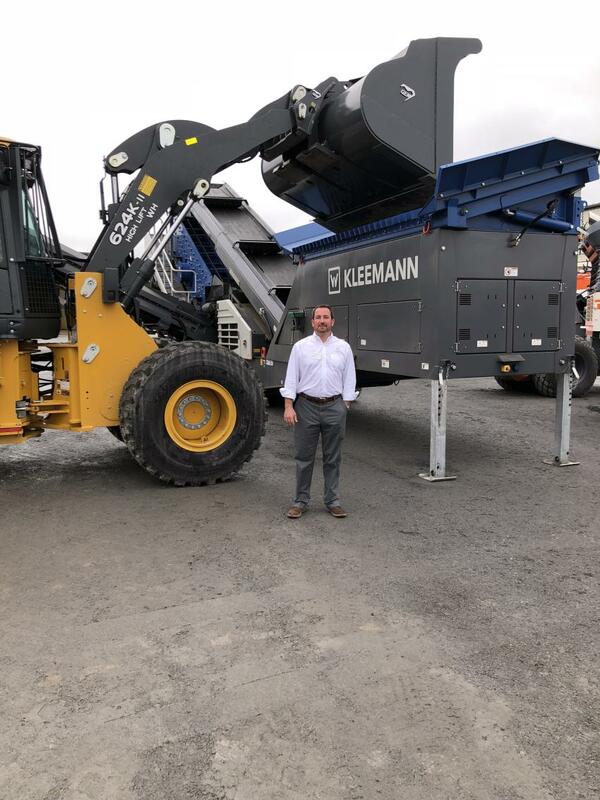 Thomas Jordan stands with the MOBISCREEN MS 703i EVO, a portable triple-deck machine. 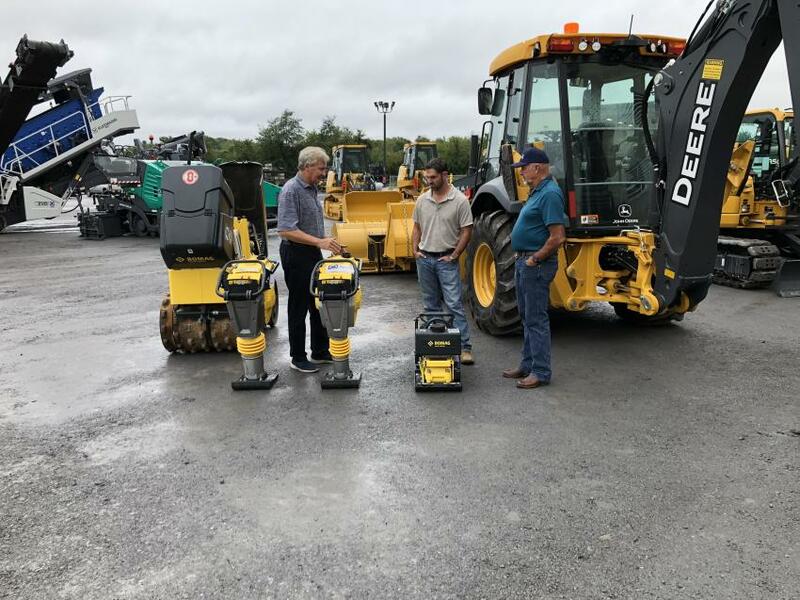 Thomas Hartman (L) of Hydrema and Derek Trimingham of Tractor Works in Free Union, Va.
James River Equipment also offers Bomag compaction products. 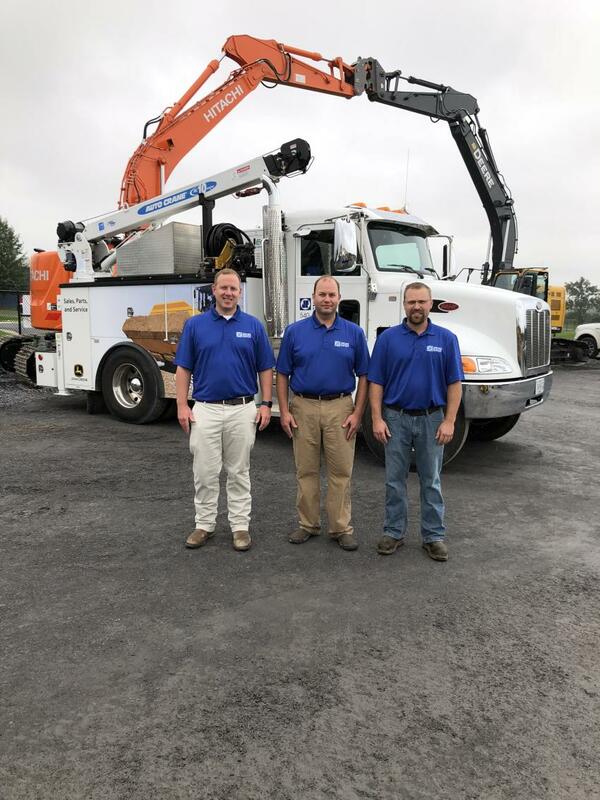 (L-R) are Ron Thomas, Bomag; and Chad Carpenter and Timmy Plecker, both of Plecker Construction, Staunton, Va.
Cletus (L) and Tom Plank, both of National Railway Equipment, Hagerstown, Md. (L-R): Matt Ryan and Joe Canterbury, both of C.S. 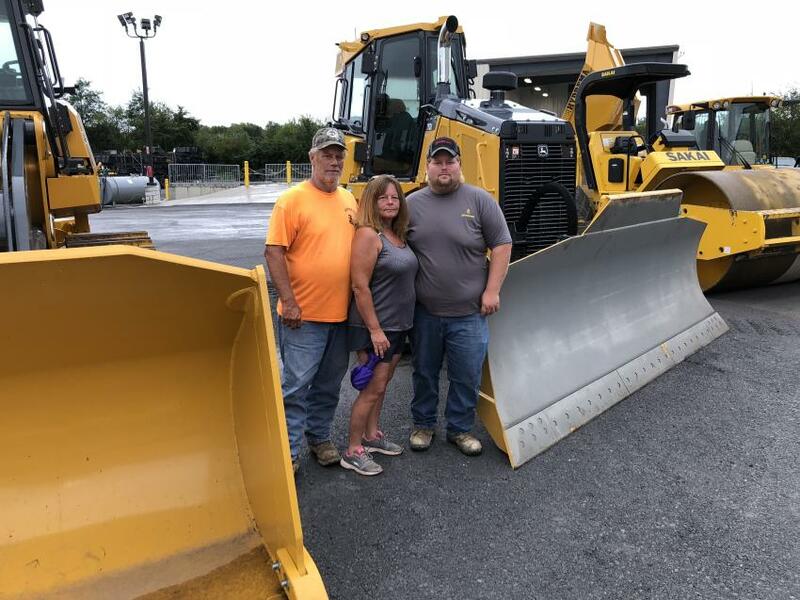 Jennings, Winchester, Va., and Jay Hutcheson and Katelyn Marshall, both of James River Equipment. 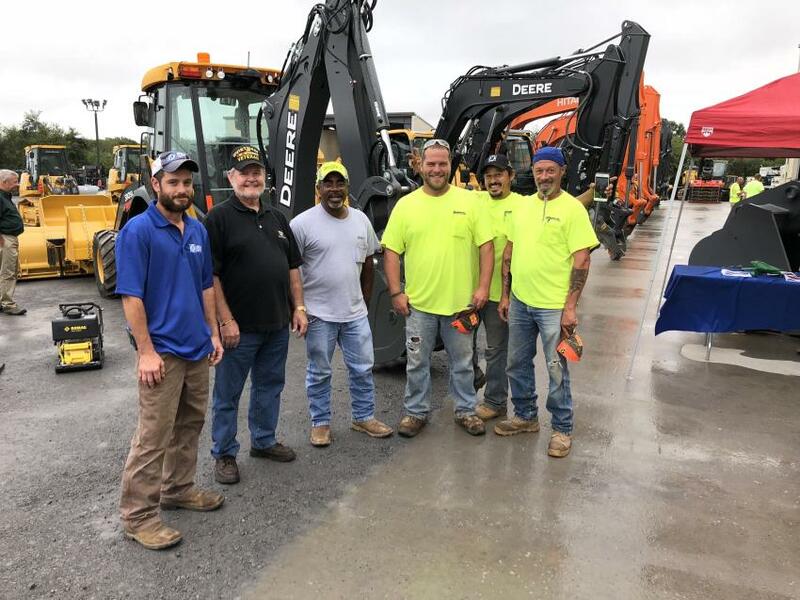 (L-R): Mike Adamy, William Aikens and Danny Lyons, all of H&W Construction in Winchester, Va.
(L-R): Stephen Culp, Todd Anderson and Jerry Norris stand in front of the John Deere 345G, a zero tailswing 80,000-lb. excavator; a John Deere 944K, a 10-yard loader; and the John Deere 410E, a 40-ton artic truck … all in the 20,000-sq.-ft. service area. (L-R): Zan Erskine, Doug Roan and Brad Burruss, are the managers in Fishersville, Winchester and Manassas. Among the three locations, the company has 31 full-service vehicles like the one behind them. 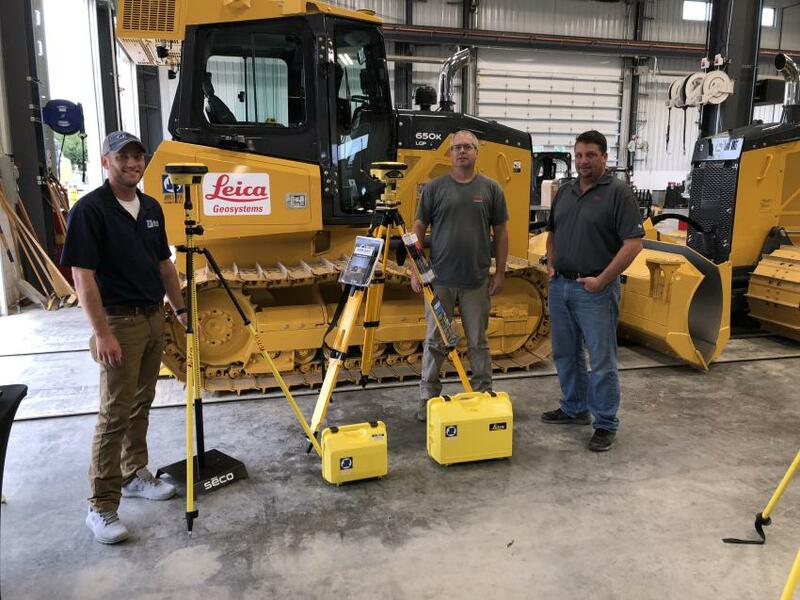 (L-R): Sam Mewshaw of James River Equipment and Dwayne Sawyer and Brandon Faulkner, both of Leica Geosystems, discuss the Leica 70T Tilt Rover that offers many easy-to-use functions. 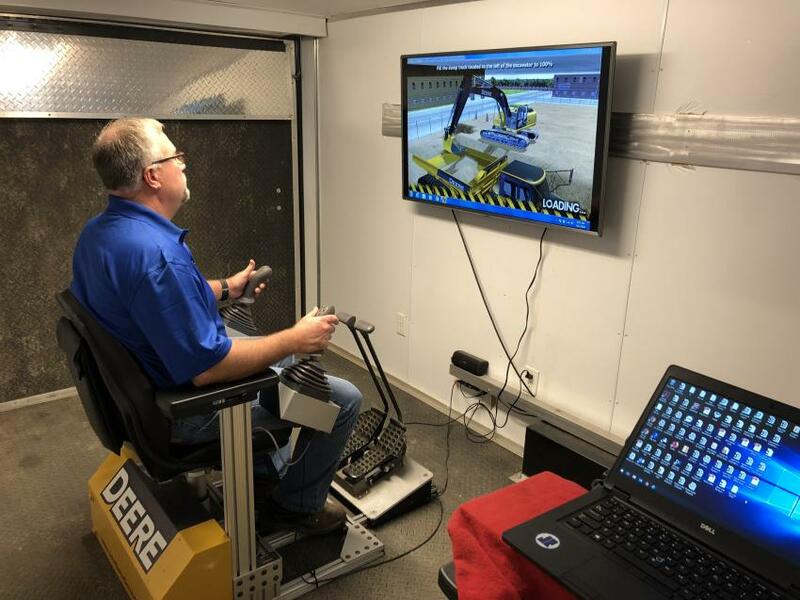 James River Equipment had its John Deere operator simulator on hand, which helps train operators on John Deere excavators, motor graders and dozers. 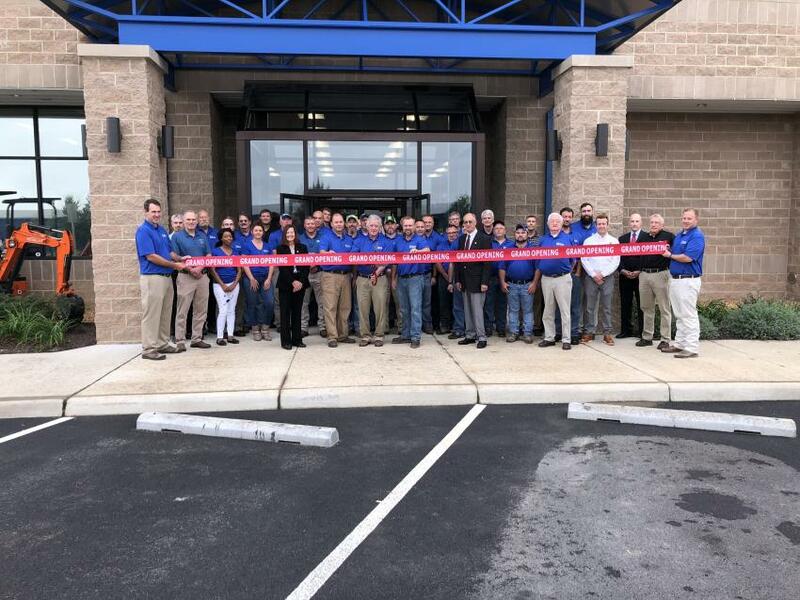 Mark Romer cuts the ribbon to officially open the new Winchester, Va., facility. 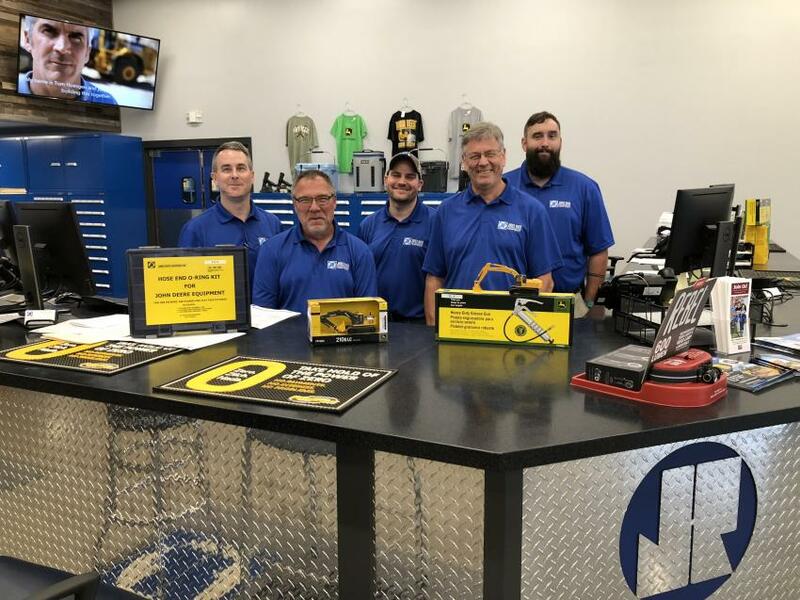 On hand to serve customers’ parts needs (L-R) are Mike Shannon, Larry Boyce, Steven McMinn, Benny Frye and Lucas Hott. 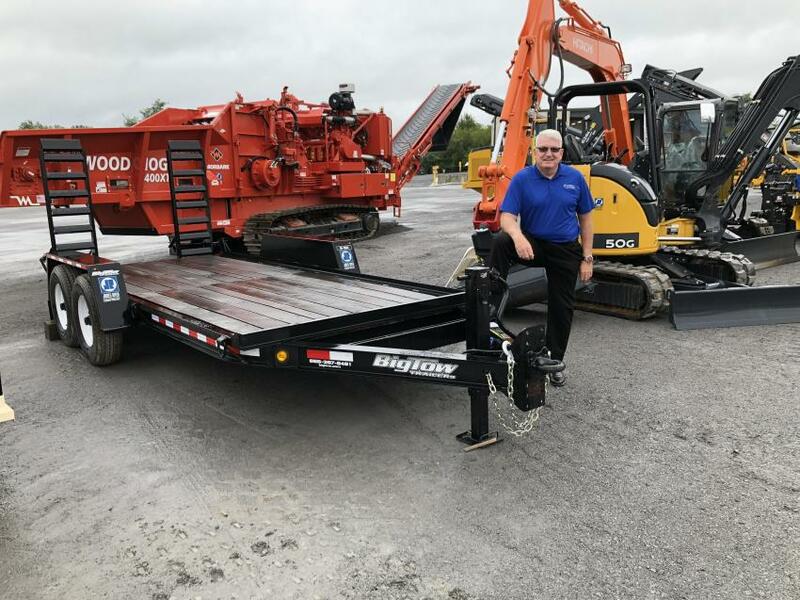 Alan Craft of Big Tow Trailers discussed his company’s 6-ton model trailer, which is perfect to haul mini-excavators and skid steer loaders. 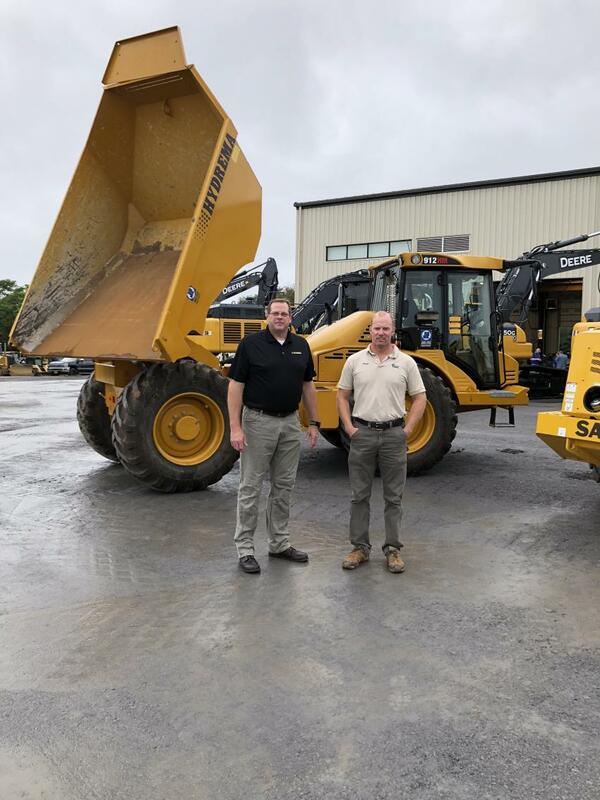 Doug Roan (L), general manager, James River Equipment, Winchester, Va., and Tracey Marston of Perry Engineering, in Winchester, discuss the new facility. 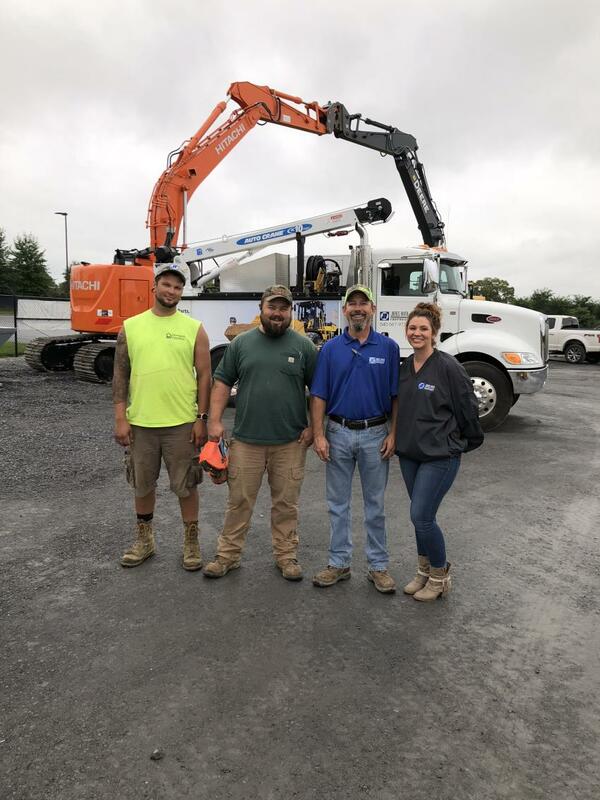 (L-R): Ty, Alice and Eric Dovell of Dovell LLC check out James River Equipment’s new facility in Winchester, Va.
With the ESCO 54-in. 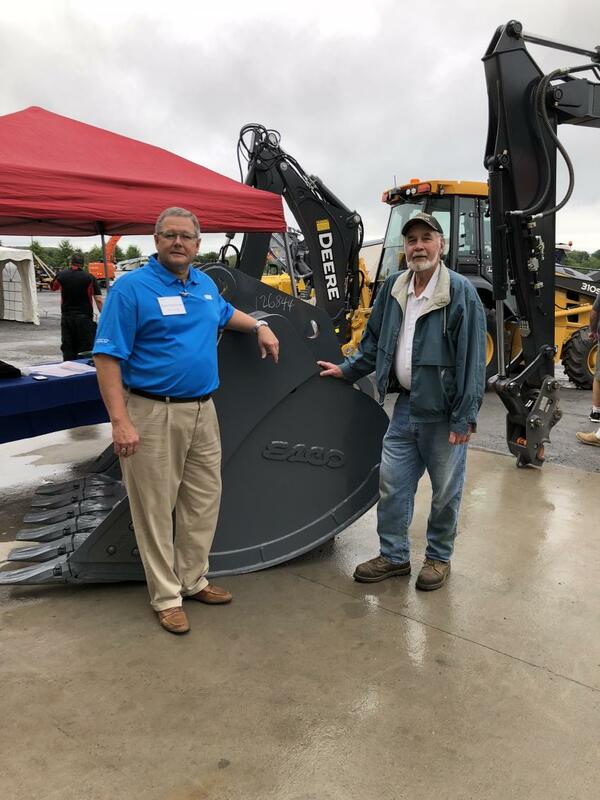 bucket for a John Deere 350 excavator are Dave Nightlinger (L), ESCO, and Jay Corbalis of Corbalis Construction & Engineering, Berryville, Va.